You spin me right round, baby right round. Now we have that 80’s pop classic in your head, how would you like play a tombola take on an arcade classic for as little as 5p? Come on in and get your head in a spin! Glow with the flow and join us in the enchanted forest, or relax under the sea with our colourful jellyfish. Match the coloured symbols to win up to £500 and get ready to glow wild! 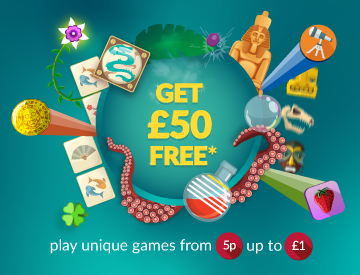 Pop your way to the top with our bubblicious game for your chance to win £500. Pop enough bubbles of the same colour to win a prize. There are a lot of things to pick in life: your house, your car and now here at tombola arcade we’re letting you pick your own symbols! The winning symbols are all there it’s up to you to choose them. what would arcade games look like if we made them?